The nation of the Philippines – the world’s 12th most populous country with a population of 92 million – is made up of over 7,000 islands in the Pacific Ocean. The three main islands are Luzon, Visayas, and Mindanao. Filipino or Tagalog is the official language of the Philippines, but English is the second language. These diverse islands are known for their beaches, but the adrenaline junkies are sure to find adventure too! Here are some tips on what to do and where to go so you can have an amazing adventure on the Philippine Islands! The Philippine islands are among the most picturesque on Earth. These lush islands are the perfect destination for photographers! You can’t miss the Hundred Islands. Five hours North of Manila, in Alaminos in Pangasinan, the panoramic views are breathtaking! Equally beautiful, but quite unusual, are the Chocolate Hills on Bohol, near Carmen. You’ll be amazed by 1,700 identical round hills extending as far as the eye can see. Absolutely surreal! Of course any collection of islands has to focus on water. Natural wonders and grand ocean vistas abound. It’s everywhere you look. Surfers of the world come to the Philippines for the waves on the east coast of Samar. Divers enjoy the Apo Reef, which lies two hours East of Mindoro, and can view creatures such as sharks, rays, sea turtles, and more. For scuba divers looking for a more unusual view there are dozens of WWII wrecks in Coron Bay off Busuanga Island. With such a large population, the cities of the Philippines attract many visitors. There is some social strife in some areas, so always check out the situation before venturing out. Oft-described as risky and somewhat dangerous, Manila, made of 17 distinct smaller cities, is a giant megalopolis on Luzon Island, where you’ll find anything from cockfighting to go-go bars. “Malling” is a huge pastime, which is shopping at the huge retail malls on Makati Avenue in Manila. For something truly special, visit Intramuros, a district of Spanish colonial heritage. These islands are of volcanic origin so the landscape is quite varied with many mountains to entice adventurers. Get the right gear and have some fun! 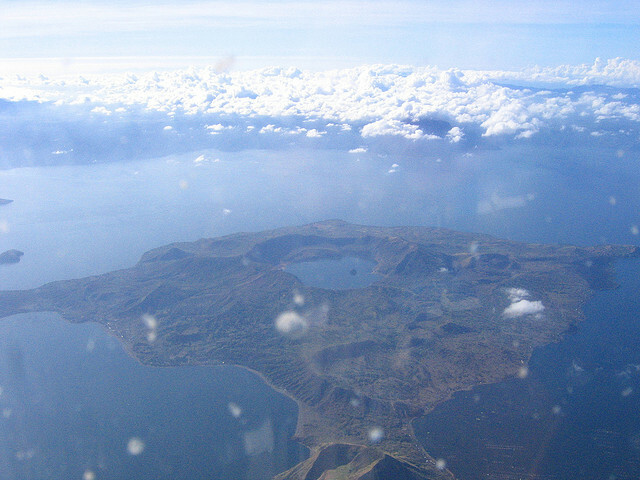 A string of volcanoes in the southeast Bicol region tempts climbers and hiking is a big attraction on the main island. The Cordillera are wonderful for mountain biking along some of the nation’s highest peaks and most exciting rivers. Don’t miss the emerald rice terraces of Banaue, often called an eighth wonder of the world, and the Tappia waterfall. The island of Samar offers exciting caving with underground streams, karst tunnels, multi-day underground journeys. Now, more than ever since the super typhoon Haiyan, the Philippines can use your tourism dollars. It is still safe to travel to the Philippines and post-typhoon recovery is coming along. So have some fun while helping good people out with an amazing Philippine Islands adventure. Guest Blog from: John Smith wonders if you want to rent a holiday home on your next trip. He’s been all over the world and loves to stay at holiday rentals rather than hotels because they allow him to have a much better experience.